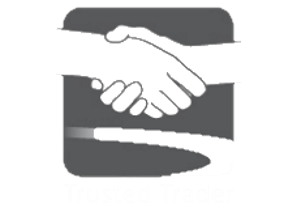 Reviews and testimonials below are from real customers who have either written, emails or reviewed us online. We update our testimonials and every effort is made to copy word for word what the customer has written. But don't just take our word for it, you can find more fantastic reviews at various different independent review sites to prove authenticity. Thank you David and all of your tradesmen who worked on my conservatory and to your admin staff for being so nice and helpful. I am delighted with my conservatory all round, workmanship and quality, the attention to detail on the finishing touches of the window sills and skirtings, I cannot wait to put my furnishings in to have great pleasure to enjoy, I will keep your company top of my list for any future home improvements and will add my review on your web site. Absolutely delighted with my front door which was fitted today. Great service from start to finish. Kevin was fab, he was extremely helpful in ensuring I was happy with my door and getting me the best deal. The workmen were great & it was a nice touch having a courtesy call this evening to ensure I was happy with everything. Very happy love my new door. Dear Lee Many thanks for your attentionto detail and excellent teamwork with Dale. Everything inside & out looks super. Dear Dale, Thankyou for your skill & patience when doing our new roof, and stiff door which now opens like a dream instead of rugby tackling it ! Hard working and speedy work, excellent workmanship from Scott & Hugh will recommend them to anyone. Great job done, it's been a pleasure having your joiners fitting the doors. Nothing was a problem for them and did a fantastic job cleaning up both inside and outside. Delighted with my door and advice recieved. Joiner was great and work done is excellent. Everything completed & first class. More than happy. I'm just dropping you a line to say how great our window fitters were. Duncan and his partner (sorry can't remember his name) were fab. The job was quite tricky with lots more cutting etc than expected but they faced it with good humour and made what was quite a stressful situation a lot more light hearted. Both were very friendly - definitely what you want when you've got fitters in your house all day. I've just ordered doors from you and it would be fab if Duncan could be the one to come back and fit them. First class job, very pleasant guys would recommend your company to anyone. Couldn't fault workers, They were excellent, very clean & tidy and very polite. All in all fantastic. Thank you all very much for the Excellent work. I have been singing your praises to everyone who has been to see it. What a difference it has made to our sitting room too- there is just so much light - absolutely great. Just a quick note to mention your staff who were involved in providing our windows: Owen, David, Davie, Robbie, Arthur & Mark. All were a great credit to your company both in their attitude and abilities. We are delighted with our windows and your staff made it a completely straight forward experience. Nearly forgot Liane, so pleasant & helpful. Thanks again to all the team @ Clyde for my new double glazing!! Please accept my sincere thanks for the lovely job carried out my home, my new door and window are beautiful. Another excellent job by all involved at CWC. No hesitation in recommending Clyde, turned up when they said they would, delighted with job. Clyde Windows tick all the boxes, friendly sales and workmen a pleasure to have in your house, would be happy to recommend. A big thanks to Clyde Windows & Construction for the Upvc doors, windows and roofline they recently installed in our home – we love it!!! From first phone call to installation Clyde Windows have been a pleasure to deal with and I have recommended them to all my family and friends. I would like to personally thank you for all your hard work and effort on the conservatory, looks great. Thanks. Delighted with 2 windows I had installed yesterday, thank you! Many thanks for your excellent service and our lovely new pvc windows the personal service that you provided really made all the difference and we are very grateful. 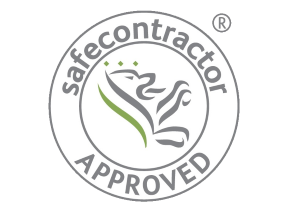 From the outset our dealings with you have proved to be utterly hassle free with a high degree of professionalism shown at every stage of the installation. Not only did you listen to what we were asking for, you also gave us your input and advice which complimented the overall design. The workmanship and quality of materials was excellent and your patience and capacity for hard work was second to none. We are grateful for the way in which you remained flexible to fit in with our day to day living requirements. Thanks to your efforts, you have created the conservatory of our dreams and we have no hesitation in recommending you to anyone who is looking for a prompt, meticulous, tidy and conscientious company who takes a pride in their work. Thanks, you have done a great job, we love our new pvc windows and doors. Just a small note to thank everyone at Clyde for your help, advice and hard work. The windows are fabulous, we are very pleased!! Again, thank you! Just a note to tell you how delighted we are with our new conservatory you recently installed. A big thank you to you and your team for all your hard work. We appreciate your fine attention to detail and excellent quality of workmanship. We would certainly recommend your services to family and friends. My new windows are lovely. The installation went so smoothly. Everything was left clean and tidy.A truly excellent service. Thank you so much. The conservatory is excellent...We have had so many compliments and would not hesitate in recommending Clyde to others. Just a note to say thanks for the excellent job. The windows look great and the fitting is second to none. Many thanks indeed for such a superb service. We will recommend your company to our neighbours and friends. Thank you very much for the excellent service in fitting my pvc windows. Over the moon with the pvc windows you have fitted. Thank You. Just a note to say we love our new pvc windows and doors, what a difference to our house, thanks! Thank you for my lovely new conservatory which you recently fitted, I look forward to spending many years in it. Very pleased with the pvc windows we just had fitted by Clyde, will definitely be recommending to friends. Another job well done by Clyde, very happy with new pvc windows. Really pleased with the recent work your company completed at our home, our conservatory is fantastic. Thrilled with our pvc windows, will definitely have more work done in the future. Thanks again for the lovely job you have made of our conservatory, will be happy to recommend your company to others or use you again. My wife and I would like to offer our sincere gratitude for your companies excellent work that was carried out recently to install pvc windows to our home. My new living room pvc window wasinstalled to a very high standard, and I would recommend the fitter to anyone! 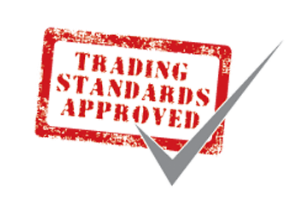 I would just like to say what a fantastic experience we have had with your company while having our pvc windows and doors installed, the workmanship was superb and stress free!! I am writing to thank everyone responsible for contributing to a really perfect result, the conservatory is beautiful and my pride and joy. My husband and I would like to say how delighted we are with our pvc windows. From the initial enquiry to the end result we are very impressed with the service you provided. Fabulous job, your upvc window installers are a credit to your company 100%! We are delighted with our new double glazing windows and the way the job was handled from start to finish. Wonderful job carried out by your installers when fitting my new pvc windows. Please pass my sincere thanks onto to the team who carried out my pvc window installation, the windows look great. Please thank all the staff for their help in the construction of my sunroom, all staff were very helpful throughout the project. Smashing job carried out – love our new pvc windows and doors. Recently had front and back pvc doors fitted and I am delighted with them. thanks to all at Clyde, the new pvc windows are wonderful. Wonderful to deal with a company like Clyde who can efficiently manage a project from start to finish, my new conservatory is a dream come true. What a lovely job your fitters have made of my pvc windows, won’t hesitate in recommending to my family and friends. Thanks ever so much for the great conservatory your people put together for us. Right from the design to finished product, it couldn't have been better. The price was great also. 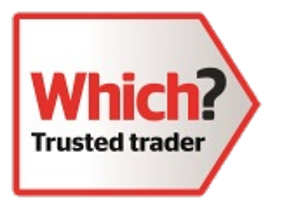 I will be recommending your pvc windows and the fitter to all my friends and family! We have recently had a upvc bay window fitted by Clyde Windows & Construction and are really pleased with both the quality and value for money of it, will without doubt be returning when we renew the rest of our pvc windows. Would certainly recommend to others, our pvc doors and windows are lovely. It was a pleasure to have had Clyde Windows & Construction to make and install my conservatory. The craftsmanship and finish is more than I could ever dreamed of. They were polite, very professional and the finished product is simply stunning. Thank you and congratulations on both the quality of your products and the workmanship of the staff I am delighted with my new conservatory which was recently completed. Thank you, our conservatory is the best purchase we have made in years and even though we have only been using the conservatory for four weeks we are in the conservatory every chance we get and are loving the space . Just wanted to say thank you for a lovely job on my new pvc conservatory and I will definitely chose you again should I need any other home improvement work in the future. Thanks to all at Clyde Windows & Construction for our new conservatory, the project was managed efficiently throughout and the end result is fantastic!! I have just recently had my doors and windows installed by Clyde Windows & Construction and I am really pleased with the quality of the products and the workmanship. I would definitely recommend. Thought we should take five minutes to write and thank you again for all the great work during the construction of our conservatory which is perfect even through the weather you endured building it, the conservatory is exactly as planned and a great addition to our garden. Brilliant would recommend to anyone and yes you are welcome to bring any one to see it. To everyone involved I’d just like to say Thank You for the new door I got from your company and I am looking forward to building my conservatory with you as soon as the plans are complete. We were very satisfied with the service provided for the installation of our double glazing. The team was friendly, courteous and professional at all times & the workmanship was professionally completed. I’d just like to thank Clyde Windows & Construction for my windows and doors and would give 10/10, Brilliant!! Very satisfied, boys worked really well and we are really pleased with our windows and conservatory. Fitters made good job of my new door, first class and would highly recommend. Further to the completion of the pvc windows to my property, I would like to thank you for the excellent way that you carried out the work. I would recommend you to anyone, and would not hesitate in using you in the future. We just wanted to tell you how delighted we are with the pvc windows recently fitted in our flat. The design‚ finish and the installers workmanship were first class. Just a note to say thank you for the excellent service received from everyone in the planning, manufacturing and fitting of our conservatory - a good team of hard workers. We were delighted with the conservatory and would not hesitate to recommend Clyde Windows & Construction. Thanks again to all at Clyde who were involved in my recent sunroom installation. I love it! Just a little note to let you know how pleased I am with my new double glazing that you recently completed at my home. Thank you for the wonderful job you have made of my doors and windows. I just wanted to thank you again for the double glazing works carried out by your installers - a number 1 job!! We would like to congratulate all at Clyde Windows & Construction for a job well done on our new Conservatory. Very pleased with our 2 new doors from Clyde Windows & Construction and will reccommend to others. Thank you to all invoved @ Clyde for our new Bay Window what a difference it makes to our home! What a brilliant job carried out by your fitters, quality workmanship. Love my new windows, great work with no fuss! I am delighted with my new Upvc roofline it completely transforms my house. A big thank you to the staff at Clyde Windows & Construction for our new extension, the project was managed very efficiently from planning stage through to completion. Clyde Windows & Construction are a great example of an honest hardworking firm after the recent installation of my new double glazed windows and I will definitley be reccomending them to friends. Very professional approach from first visit of salesman to completion of installation of windows. Salesman very helpful, making useful suggestions to improve installation. Installers very efficient, tidy with minimal mess, which was tidied up before leaving each day. Pleased with the outcome. They built my conservatory. Best quote / price. They were reliable from the start. Finish was excellent as well as their organisation. Small changes were no problem for them. Great job from sales to fitting. Straight forward and easy to deal with. Windows look great. Our new conservatory is fantastic. The whole team from Clyde construction worked very hard and to schedule. They were tidy and left the site tidy between each visit. They overcame unforseen problems with our doorway and worked extremely hard through horrible weather to complete it to plan. The cost was very reasonable and worth every penny. A great team did a great job. Thank you. Clyde Windows replaced two misted double glazing units for me about a month ago. The whole process was very efficient and professional. I was given a rough estimate over the phone using my own measurements, as the estimate was reasonable they arranged for an agent to come round and check the finer details. There was no hard sell and the agent was very pleasant. The fitting went just as smoothly and I am very happy with the job. 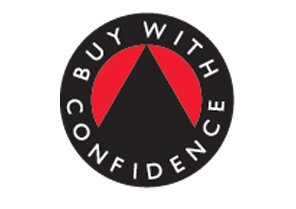 After searching for prices from 4 firms we decided to use Clyde Windows & Construction Ltd. Very thorough and professional from first visit which was completely hassle free in comparison to the other 3 firms we looked at. Thereafter the surveyor and installers did a fantastic job and nothing was a problem. The windows and doors look great and the service we received certainly could not be complained about from start to finish. We are now delighted with our new windows and doors and would strongly recommend Clyde to anyone. First class job from a first class company! !